If the history of our two nations teaches us anything, it is surely that there is nothing you lot like better than being told what to do by English people - so may I join with so many of my fellow countrymen (and ladies!) 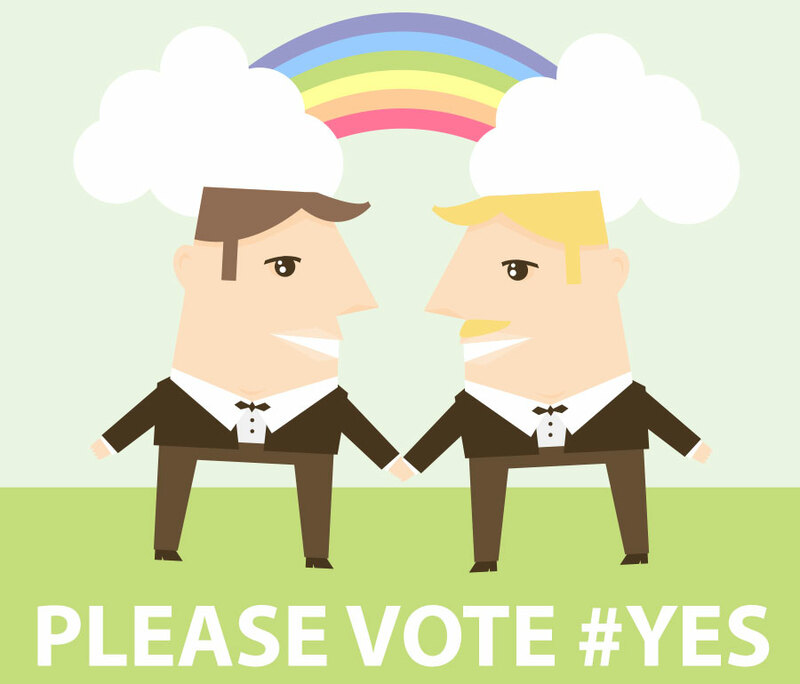 and implore you to go out today and VOTE YES! PS Not sure I can document all the happy clappy huzzahs in the papers today, so here's a rare piece of uncommon sense, A referendum is not the way to go when it comes to gay rights or minority issues, Saeed Kamali Dehghan, Guardian, Comment Is Free. Your readers are having a referendum on whether Fagburn should marry.